“The Office of Rail and Road (ORR) has temporarily prohibited West Coast Railway Company Ltd from operating steam trains on the mainline rail network, to protect the safety of its staff, volunteers, passengers and members of the public. 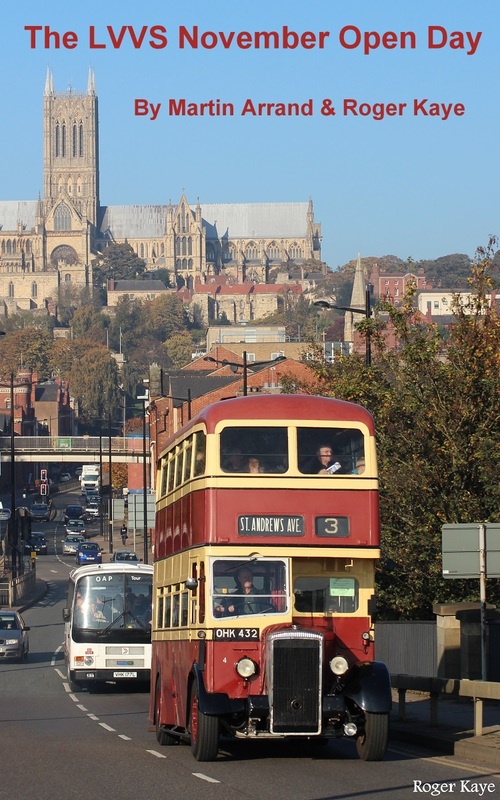 “The enforcement action follows an initial investigation into an incident near Doncaster on 2 October 2015, which found staff on-board locomotive 45231 had turned-off its Train Protection and Warning System (TPWS) isolation equipment, designed to apply an emergency brake if the driver makes an error. The prohibition came into effect at 23.00 November 24th. Diesel power operations are not affected. Investigations are also still ongoing concerning the March 7th incident when a West Coast steam special over-ran a red signal near Wootton Bassett and as a result Network Rail banned WCRC . The Rail Accident Investigation Branch opened an investigation into the incident, which it called a "dangerous occurrence". The incident was rated the most serious SPAD in the United Kingdom since December 2010. Following improvements made by WCRC, the ban was lifted. West Coast Railways run steam specials under the the Fellsman banner. Here Jubilee class 45699 Galatea arrives at Appleby after which it will run to Carlisle. The prohibition applies from 2300 on November 24, and WCR must seek formal approval from ORR before moving any steam locomotives. The notice does not affect operation of the company’s diesel trains. “The Office of Rail and Road has made West Coast Railways aware of a problem with certain steam locomotives operating on the main line,” said WCR Managing Director Pat Marshall. 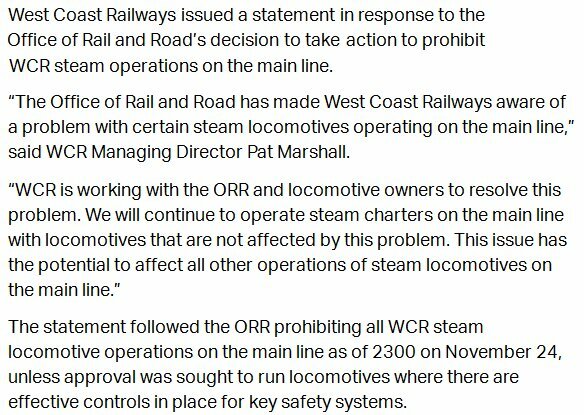 The statement followed the ORR prohibiting all WCR steam locomotive operations on the main line as of 2300 on November 24, unless approval was sought to run locomotives where there are effective controls in place for key safety systems.